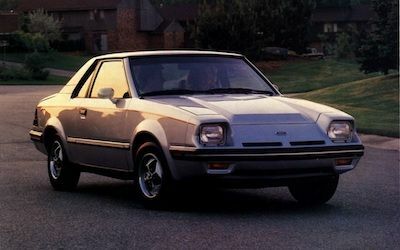 Between 1982 and 1988, Ford produced the EXP sports compact coupe that was the first two-seater that Ford manufactured since they produced the 1957 Thunderbird. Any time that you need new OEM EXP parts, FordPartsOnSale.com has the OEM Ford part that you need for an exact fit replacement part. Spoilers – The spoiler helps you save fuel because it makes you aerodynamic. We carry a large selection of accessories for your Ford. Cargo – By organizing your cargo area, you can keep all of your bags, boxes and other cargo from sliding all over when you turn corners. We offer nets, boxes and racks. Interior Accessories – The interior accessories on your EXP may need to be replaced as your vehicle ages, or you might just want to upgrade the interior. Either way, we can help since we carry a large selection of parts like floor mats, console parts and more. When you shop with us, you get fast, affordable shipping. We also have one of the largest Ford parts departments in the United States. Buy your OEM Ford EXP parts today.